Joyce Glasser reviews Crimson Peak (October 16, 2015), Cert. 15, 116 min. 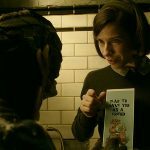 Victorian Gothic Romance films are as risky as they are rare, but if anyone can pull it off it is the brilliant Mexican story teller and master creator of special effects director/writer/producer Guillermo del Toro (Pacific Rim, Pan’s Labryinth, Hellboy). The crumbling ancestral home in Crimson Peak makes Horace Walpole’s Castle of Otranto look like Windsor Castle; and del Toro throws in Charlotte Bronte’s Jane Eyre , Jane Austin’s Northanger Abbey , Daphne Du Maurier’s Rebecca , and a sprinkle of Mary Shelly and Susan Hill. 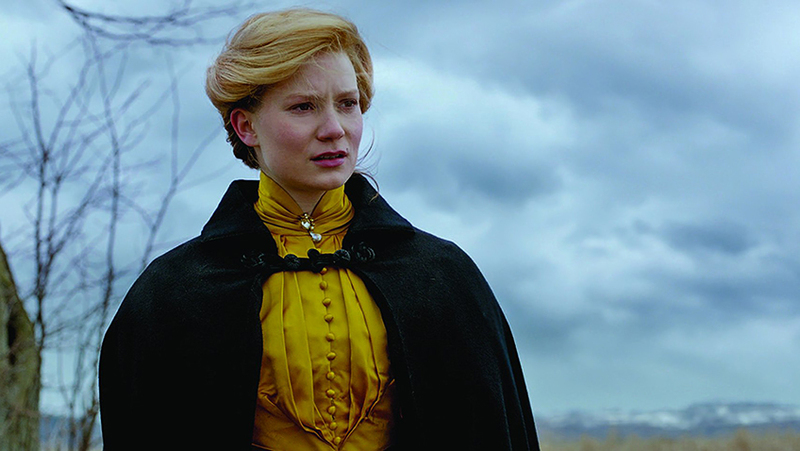 He even throws in Mia Wasikowska, who wandered around a dark, Victorian pile in the 2011 film adaptation of Jane Eyre. 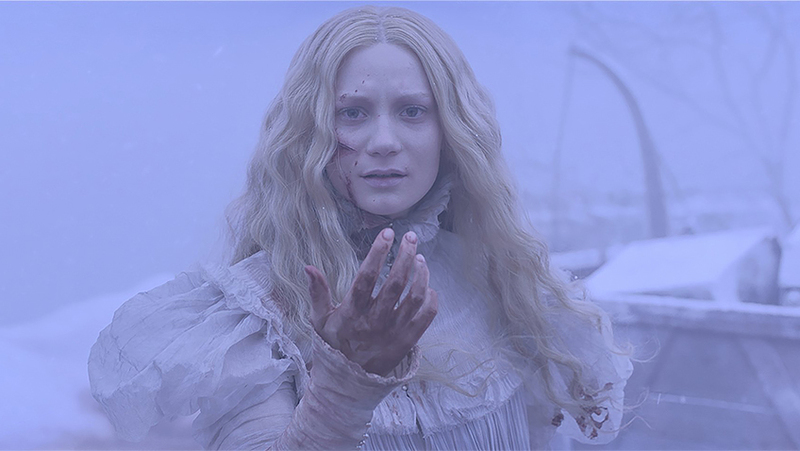 Crimson Peak is a lot of fun and a triumphant visual extravaganza, but the story is bland by comparison and the heroine is too naïve to be credible. Edith Cushing (an excellent Mia Wasikowska) lives in comfort in Buffalo, New York with her industrialist, alliterated father, Carter Cushing (Jim Beaver). Edith is career-minded and has written a story that is dismissed by publishers as a ghost story. She defends her work as being a novel with a ghost in it. It could, in fact, be very much like the coming-of-age romance that we are about to experience. In that regard, Cushing is surely a nod to the great horror-film actor Peter Cushing. He co-starred in House of the Long Shadows, another film about a deadly house of secrets that is framed by a writer’s tale. Carter encourages his daughter’s writing career as does her handsome, intelligent and kindly suitor Dr Alan McMichael (Charlie Hunnam – Del Toro’s Pacific Rim). But for the loss of her mother, and a childhood encounter with her mother’s ghost bearing the cryptic warning, ‘Beware of Crimson Peak’, Edith’s life is perfect. But when Sir Thomas Sharpe (Tom Hiddleston), a pale British aristocrat gate crashes New York society in a desperate effort to find investment for a clay mining machine, Edith loses her heart and her head. So much so, that, for a writer, she ignores a lot of clues. It does not bother her that her father dismisses Sharpe as a fraud and his invention as useless; or that Carter’s private detective discovers that Sharpe is already married and penniless. In fairness, it would not appear that Carter had a chance to share the detective’s findings with Edith before he suffers a violent demise that, rather incredibly, Edith accepts was an accident. 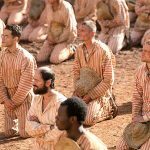 Nor is Edith curious as to why Sharpe’s beautiful, adult sister and pianist Lucille (Jessica Chastain) is unattached, has no friends and travels and lives with her brother. Nor does Edith appear concerned that her union with Sharpe remains unconsummated weeks into their marriage or that, when she enters his home, Allerdale Hall, snow is falling through a hole in the roof and blood-coloured clay oozes through the floor boards. The horrific, skeletal ghosts are cause for alarm, however, and Sharpe suggests an outing ‘to the post office’ to distract her. The couple are snowed in and consummate their marriage in a warm, rented room, much to the dismay of the increasingly hostile Lucille. When Sharpe casually mentions that Allerdale, with its red clay soil, is also known as Crimson Peak, Edith, who is already suspicious of Lucille’s tea, starts investigating. Is it a case of too little, too late? 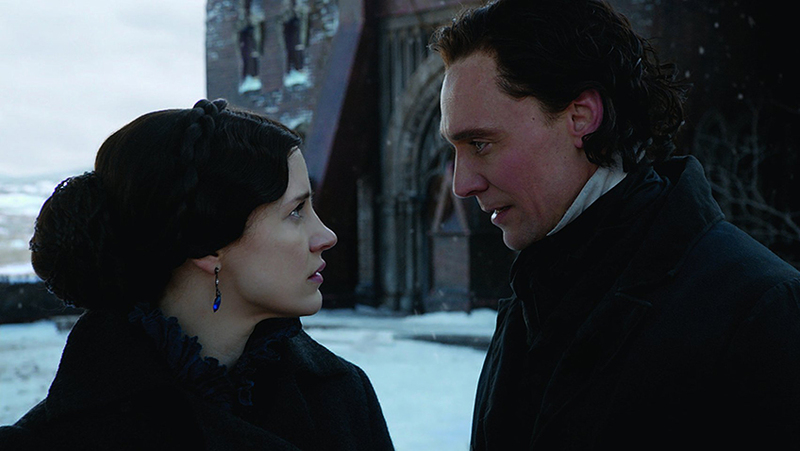 There is much to enjoy in Crimson Peak , not the least of which is the contrast between the old and new world, and the emerging, robust middle class vs the fading, sickly aristocracy, complete with America’s continual fascination with titled men with posh accents. But in contrast to Jane Eyre , Northanger Abbey or Rebecca , the coming-of-age/romance part of the story is drowned out by a camp horror tone and a house that no bride would spend the night in: not even one as smitten as Edith. And do we really need ghosts or pools of blood in the basement when the real conspiracy between brother and sister is creepy enough? Chastain might want to move away from her squeaky-clean image, but only her lines and actions tell us that she is supposed to be evil and scary. It is also difficult to buy Thomas Sharpe’s sudden change of heart given his sinister past and intentions. The real hero of the film is Dr Alan, the oh-so-eligible man whom Edith, with her young, romantic imagination overlooked or took for granted. But in the audience, there will be many women wondering why Edith ever left Buffalo to begin with.